Bahn is a furniture system designed for dynamic office environments that promote heads down focus and team interaction. Watson has taken what we call the "kit of parts" to a new level with BAHN, offering over 2000 configurations. 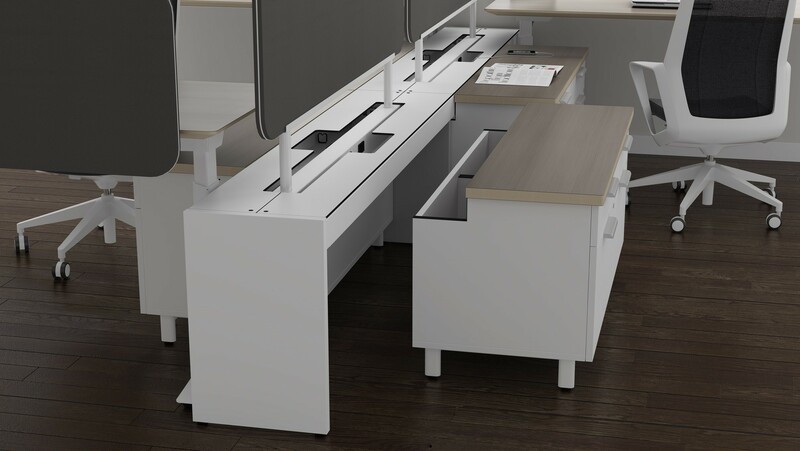 BAHN includes electrically adjustable worksurfaces, functional storage and panel-free power delivery. A relaxed and purposeful design language brings the comforts of home to the office with beautiful, sustainable and highly durable materials. We agree and it was this very idea that set us down the path of developing BAHN, a furniture system that takes a slightly different approach. 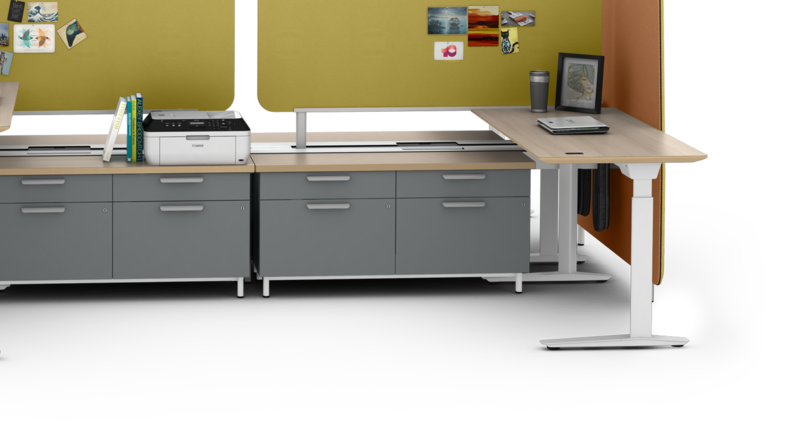 BAHN is an office furniture system designed for organizations that value the flexibility and simplicity. Each component is dimensionally compatible and built to be reconfigured on the fly. The BAHN Raceway makes technology integration easy by offering 100% top-down, lay-in cabling for voice and data lines. The elevated Raceway puts the user first by providing easy to access power and data ports. Raceway credenzas reduce dimensional creep and optimize the space beneath the raceway with full depth drawers. Universal storage risers can be used to support desks and tables adjacent to the raceway. The large lockable roll-out drawer maximizes vertical space and is ideal for sit to stand work applications. 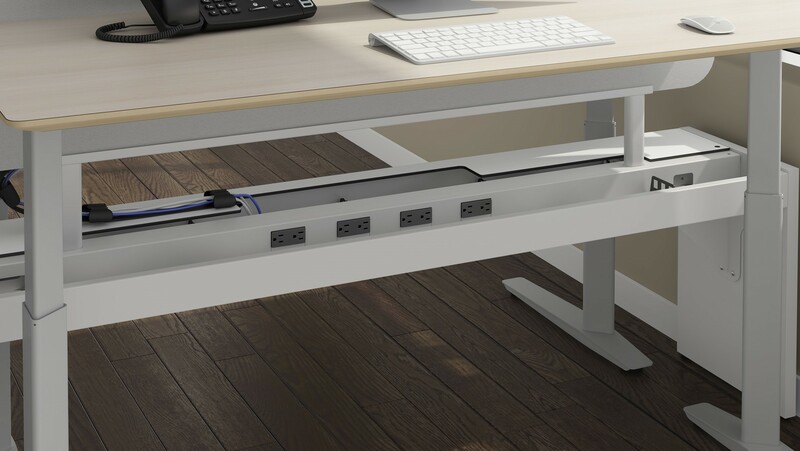 Dock the tower next to any BAHN table to put work tools and personal items within arm’s reach. A core part of our product development process revolves around mitigating the scale of the human body and the greater architectural envelope. Our research with space planning teams revealed that one of the biggest opportunities for future furniture systems is to balance the simplicity of a kit-of-parts system with the flexibility required to accommodate for existing architectural features. Our product development team adopted this as a design constraint and solved it by allowing continuous runs of power and data across single and dual raceways. Facility managers are often challenged to store extra inventory to accommodate workplace change. When designing Bahn, we sought to create a non-handed kit of parts that would ease the storage and labor cost burden associated with the need for timely reconfiguration. 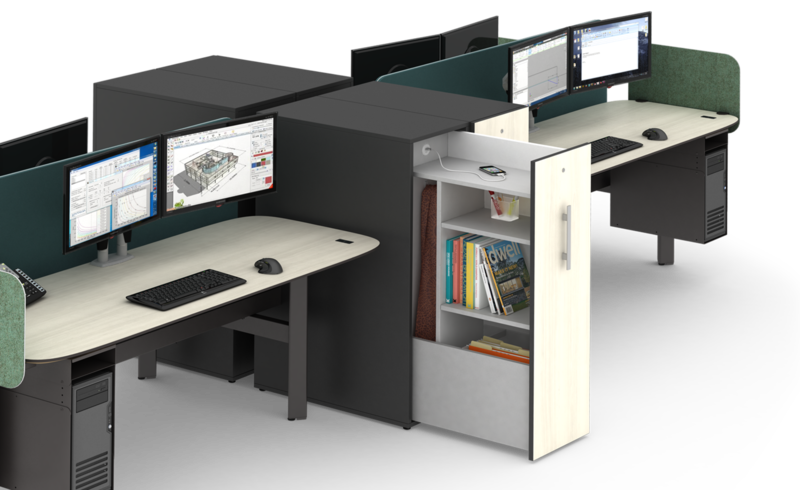 Bahn offers a freestanding, non-handed Raceway, storage and contoured desk solution that minimizes those contingency costs by allowing components to position for both right and left facing workstations. BAHN will be available beginning in October, 2015. Contact us for more information. Copyright © 2016 Watson All rights reserved.